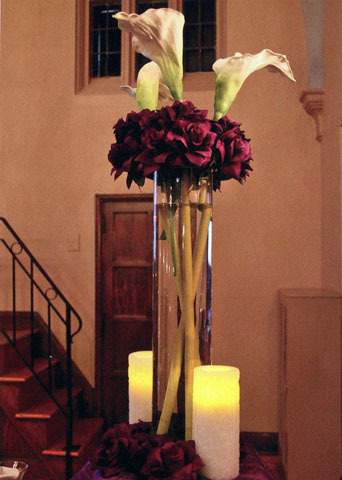 TUXEDO Caterers ~ Event Planners, LLC is an Off-Premise Catering and Event Planning company. We invite you into our world as one of the Delaware Valley's leading Event Specialists for more than 25 years, offering a blend of Delicious International Cuisine and Elegant, High-end Presentations. TUXEDO's long-standing staff includes professional award-winning chefs and food stylists from some of the finest Culinary Schools, including Walnut Hill College and The Philadelphia Art Institute. We've hired some of the finest maitre d', professional servers and mixologists whose knowledge and talents are well seasoned. They have remained with Tuxedo Caterers over many years. TUXEDO Specializes In Weddings, Anniversary Galas, Engagement Parties, Launch Parties, Family Reunions, Signature Birthday Parties, Life-Style Changing Celebrations, Book-Signings, Corporate, Political, Themed and other Spectacular Events!! TUXEDO has planned and Catered Parties for the "Sweet 16" and the sassy 90 year old- who tapped danced and sang at her very own Birthday Party!! Known for its extraordinarily delicious food and impeccable style, TUXEDO continues to wow clients with many luxurious: Multi-hued, Exquisite Linens; Beautiful China, Stemware, Silverware, White-Gloved Waiter Service, Charger Plates, Artful Tablescapes, speciality Lighting, Ice Sculptures, Designer Cakes, and some of the most spectacular in-house Floral Designs. ASK ABOUT OUR PERSONALLY DESIGNED MENUS FOR YOUR BIRTHDAY, ANNIVERSARY OR ANY OTHER SPECIAL OCCASION! Guests frequently marvel at our Delicious International Food Stations; Creative Floral Arrangements; Exquisite Ice Sculptures and Unique Specialty Lighting. TUXEDO'S Events are known to be Extraordinaire!! Once you've booked, we encourage you to stop in our East Falls office to meet with Jewel, your talented and knowledgeable Planner, as often as necessary. Jewel will offer ideas, and techniques in keeping with all aspects of your vision, creating your Dream Wedding Day with your budget intact. Jewel will also provide a Venue floor plan and prepare a timeline for your Special day. These services are of no additional cost to you. 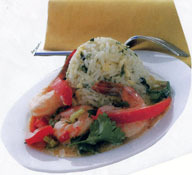 A professional staff, delicious cuisine and exquisite presentation is TUXEDO Caterers & Event Planners' motto. TUXEDO offers delicious VEGAN menus. 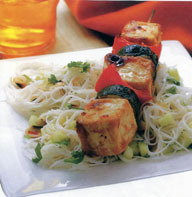 We have had the pleasure of successfully Catering Complete Vegan Menu Weddings. The non-vegan guests are always surprised how delicious TUXEDO’s Vegan is. See Testimonial Letters. We are always cognizant of food allergies for our clients and their guests and the subject is always discussed during the menu planning process. Tuxedo Caterers ~ Event Planners, LLC has Planned and Catered Extraordinary Events from Philadelphia's Waterfront to the Governors' Mansion in Harrisburg. 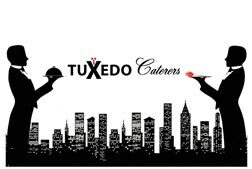 Tuxedo recently Catered a Seated Celebrity Wedding for more than 400 Guests on an Exclusive Main Line Estate, A Celebrity Wedding On An Arabian Horse Farm In New Hope !! And......A Charming, Romantic White-themed Garden Wedding for 75 guests at the home the couple had just purchased!!! Each very different, yet so very classic and personal!!!! The Philadelphia Knot Magazine featured one of TUXEDO'S Weddings, garnering the Magazine Cover. A recent TUXEDO Wedding was featured on the ever Popular STYLE Channel. 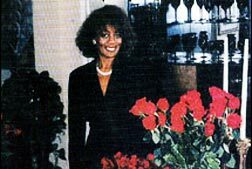 Tuxedo was Incorporated 1986, under the development and management of its President/ CEO, Jewel Mann-Lassiter. A Writer once quoted: "To say that Jewel Mann-Lassiter is Philadelphia's quintessential Culinary Renaissance woman is an understatement. Her reputation and flair for business and exquisite presentation precede her. She has dazzled both International and local dignitaries with her effervescent charm and exemplary knowledge for more than two decades of excellence." "She continues to be an extraordinary whirlwind of Community Service and Epicurean Professional." Jewel owned the popular Restaurant: JEWELS. It received the "Best of Philly" for five consecutive of its ten years. Her many awards range from Gubernatorial, Mayoral, City Council..."Pennsylvania's 50 BEST WOMEN IN BUSINESS" - 50 women chosen out of thousands of entries. She wrote a weekly Food column, profiling local Dignitaries and Celebrities. It also featured their professional lives, but always managed to get them to give up their favorite recipes. Most of them were great "chefs" at home. Jewel has written and Published 2 Gourmet Cookbooks and has given Thousands of dollars in Scholarships to Culinary students attending the Philadelphia Art Institute. During the first years of TUXEDO, Jewel travelled with a professional group of Restaurateurs and Catering Executives to Paris, attending culinary seminars at Le Cordon Bleu in Paris, Seminars in Milan Italy, Greece, England, Belgium, and Switzerland. She also explored some of New Orleans Gems - Invited to dine at one of Emeril Lagasse's Famous Restaurants at The Chef Table -much fact-finding for the serious Epicure. She also visited several Seminars & Restaurants in Charleston, S. C. Jewel always knew TUXEDO would attract an International Clientele. TUXEDO 's Menus are a reflection of her knowledge. TUXEDO 's initial Office meeting with perspective clients is very informative. The most important question from Jewel to the couple: “What are your desires for your wedding day?” She allows the client to speak, and share their dreams. She tells them: "This is your day, Tuxedo's Vision is all about YOU". She gives great details of what the client can expect from TUXEDO on their Special Day. This is always a great meeting for the perspective clients. Jewel attends and orchestrates every Event, she's always the first of her talented staff to arrive at the Venue. Tuxedo produces beautiful Weddings with loving memories....cherished memories that will last forever. Recently.... a former Tuxedo Bride recommended Tuxedo to engaged friends. She gave rave reviews about Tuxedo.....Her final words "You can count on Jewel to give you everything you've DREAMED of ...... but then there are HER extras!!!"